HCM CITY— Every morning, Dr Bùi Thị Thanh Huyền and her colleagues in the palliative care unit at HCM City Children’s Hospital make their rounds in the neonatal intensive care department to assess the need for palliative care, and then proceed with other rounds if they receive a request from other departments. The team, consisting of a doctor, nurse, psychologist and social worker, aims to relieve pain and other symptoms of patients who have serious, complex or life-threatening conditions, and to provide psychological and social support to their families. The hospital’s palliative care unit for pediatric patients is the first of its kind in Việt Nam. 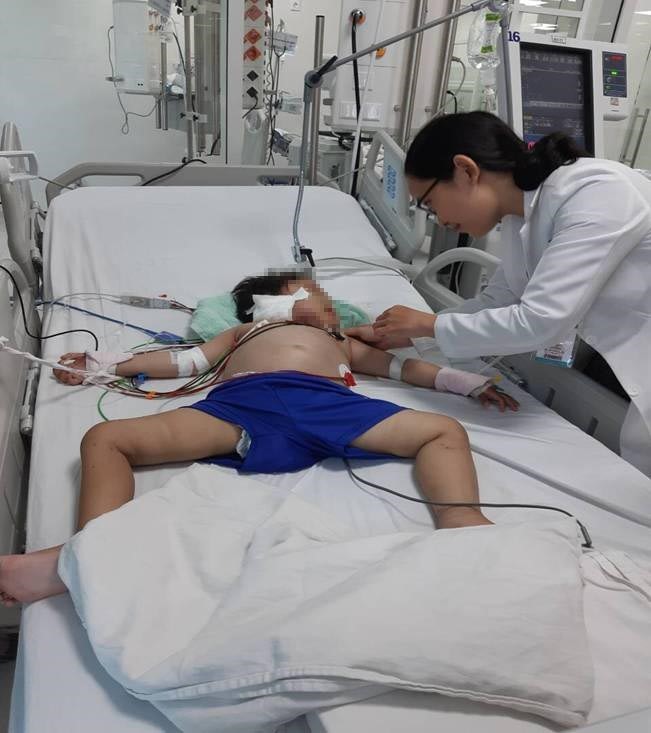 Huyền recalled a recent case in which the unit’s doctors provided palliative care to a three-year-old child with severe burns who was being treated in the surgery department. “He suffered severe pain in the first days and especially during dressing changes,” Huyền said, adding that he needed palliative care. Doctors first assessed the severity of the patient’s pain and then provided both medication and other kinds of assistance, such as helping the patient watch a YouTube video. Another case involved a four-year-old child in the pediatric intensive care unit who was in a vegetative state after nearly drowning. Huyền and her colleagues provided emotional support to his family and helped them accept the tragic prognosis of permanent unconsciousness. She recalled that the mother could not speak for the first several days after the accident due to being so shocked. The palliative care team visited her daily, provided consolation, answered her questions, and often just sat silently with her as she grieved. They did not pressure her to make decisions. In this way, she felt supported and trusted the good intentions of the healthcare team. After some time, the mother decided that it was no longer appropriate to keep her child’s body alive with machines. The palliative care team helped her feel proud that she had made this difficult but compassionate decision for her beloved child. “That is the time when the mother needs our emotional support and guidance,” Huyền said. The palliative care unit, which was established last year, has provided care to patients with cancer, serious neurological problems, HIV/AIDS, and other diseases. Palliative care is necessary not only at the end of life, but also for patients with serious or life-threatening conditions whose medical treatments can have side effects. “In Việt Nam, nearly 61,000 children need palliative care at the end of life. However, the total number of children in need is higher,” Huyền said, adding that is why the City Children’s Hospital set up the palliative care unit. Dr Nguyễn Thị Minh Ngọc, of the geriatrics-palliative care department at HCM City University Medical Centre, noted that palliative care was also available for adult patients and the frail elderly. Besides treating pain and other symptoms, doctors meet patients and their relatives to learn further about any psychological or social problem that could affect their health. Ngọc said it was especially important to help patients and their families understand the illness and prognosis, and assist them in making decisions on how they want to spend their remaining time. Việt Nam has a large “burden”, with many chronic diseases such as cancer, major organ failure, and others including HIV/AIDS, tuberculosis and hepatitis. Palliative care has been offered in many other countries since 1967, while Việt Nam has had such services only in the last 10 years, with the establishment of palliative care departments at oncology hospitals, geriatrics hospitals, and general hospitals. The hospitals include the HCMC Oncology Hospital, Phạm Ngọc Thạch TB and Lung Disease Hospital; HCMC University Medical Centre and the City Children’s Hospital in HCM City; K Hospital and the National Geriatrics Hospital in Hà Nội; Huế Central Hospital; and Cà Mau Hospital in the Mekong Delta region. However, more centres and departments for palliative care at oncology hospitals nationwide should be set up, Thịnh said. Former Deputy Minister of Health Phạm Mạnh Hùng has proposed integrating palliative care into the healthcare system, from major hospitals to community services. Such care is “an ethical responsibility of health systems”. “Adequate training in palliative care is needed for all hospital- and community-based healthcare providers and other caregivers, including NGO workers and family members. In the community, not only preventive care is needed. Palliative home care and palliative care services at community health centres are essential,” Krakauer said.